The Students' Union is a charity and a company limited by guarantee. We are also a democratically run membership organisation, with over 40,000 members. The Students' Union is overseen by its Board of Trustees, who have ultimate responsibility for the organisation. Our stances and policy decisions are made by our democratic processes, in which every student can have their say. We employ Staff to help carry out our goals and objectives. University of Manchester Students’ Union is one of the largest student unions in the country, with approximately 40,000 University of Manchester student members. The organisation is democratically run, with eight sabbatical officers (elected annually) directing our work. We believe that it’s important that our members know exactly how the Union runs, and through this, how to get involved. We are governed by a Constitution (Memorandum and Articles of Association, our governing document), which sets out the rules and processes behind everything that we do. We are a completely independent organisation. This ensures that we remain entirely focused on our members with one purpose in mind: to enhance the lives of students and their experience. University of Manchester Students’ Union is a company limited by guarantee in its own right, which means that the assets of the charity are held directly by the company. We are bound to comply with company law. Our Company Number is 07759820. Our regulator is Companies House, whose primary function is to oversee UK Limited companies. Our Trustee Board members are also the Directors of the company. The Students’ Union is registered as a charity in England and Wales. Our regulator is the Charity Commission. (Scotland and Northern Ireland have their own charity regulatory bodies). Our charity number is 1144146. We are not-for-profit: any income we generate from our commercial services goes straight back into providing services for students. We’re governed by charity law: which has some implications on how we can spend our money – making sure it’s spent on students, for example. We’re accountable to our members: which means we’re constantly looking to help students better understand what we do, and how we spend our money. Board Committees do the detailed work and perform a vital in-depth scrutiny function to ensure the Trustee Board is supported in sound decision making when matters under discussion need further Board approval. Students are at the heart of everything that we do. 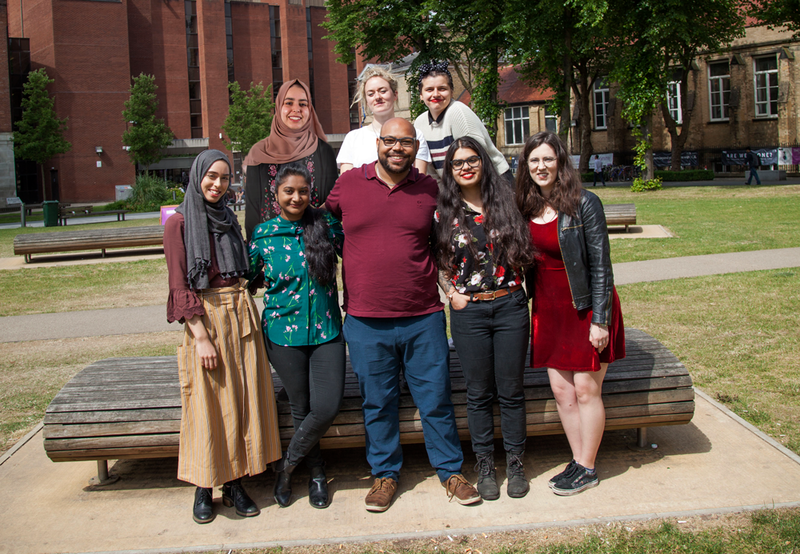 They bring a wealth of student experience to our decision making and make up the majority of members on our Trustee Board, which is legally responsible for making sure the Union remains financially viable and abides by its rules. * Money spent in the Shops & Venues at the Students’ Union goes back into funding student services. When you buy a sandwich, a pint, a coffee, you are actually helping to support our core services and, in turn, helping the Students' Union amplify student life. Revenue from our Shops, Catering, Bar & Venues; Money spent in these commercial areas of the Students’ Union goes back into funding student services. When you buy a meal deal, a sandwich, a pint, a coffee, that money is a direct investment into services which enhance the student experience at Manchester. You are helping to support our core services that benefit students. Affiliations are approved on an annual basis by students at the Annual Members Meeting. The Students’ Union developed a Strategic Plan for 2016-20. This was achieved in partnership with students, volunteers and staff. The plan details a series of promises which we can be measured and our progress is regularly reported to the Trustee Board. The Students’ Union employs around 80 salaried staff at any one time. We also offer a range of job opportunities for students. Levels of employee engagement within the student staff team can therefore have significant impact on the Union’s commercial success. There is a clear distinction between the Board of Trustees and those that carry out the everyday work or activities, be they paid or non-paid staff. Our Staff, headed by our Chief Executive Officer (CEO), Deputy CEO (Also Director of Finance and Resource) and Commercial Director, are delegated to deliver the Union’s day to day support services and activities, but never the overall responsibility. This responsibility lies with our Trustee Board, our governing body. The Code of Practice on the Students’ Union – What is it? The Code of Practice sets out various rules as to how the Students' Union must comply with the requirements of Section 22 of the Education Act 1994. It covers various aspects of the Students' Union, such as the right to free and fair elections, finance, allocations of resources, services for members and non-members, affiliations to external organisations and how students may make complaints about the Students' Union. 'The relationship between the University and the Union shall be distinctive in its recognition of students as partners within the institution, in which the interests and needs of both students and academics are central to a collaborative relationship. The Union is recognised as the body through which the student voice is represented to the University'. The Annual Report and Accounts (audited by an external independent auditor appointed for this purpose) are presented to the Annual Members Meeting in December each year for approval. This provides a chance for members to scrutinise the work of the Students' Union over the past year, examine our finances and hold the Trustee Board to account. The Report and Accounts are submitted to the Charity Commission and Companies House each year. The Students' Union is run in accordance with a number of operational policies that are set by the Trustee Board or its Committees. These are put in place by the Board to govern the conduct of staff and ensure the Union complies with its legal obligations. These policies remain in place until revised or revoked by the Board. The Students' Union also has a number of democratically approved policies, which are passed by students, which are available to view here.